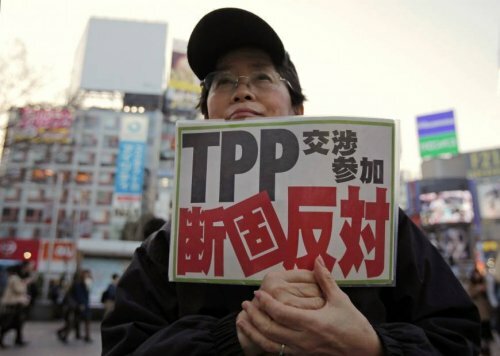 Japan is set to ratify the revised Trans-Pacific Partnership (TPP) free trade deal today, two days before it hosts a meeting that seeks to make significant progress on another regional deal that is less ambitious but equally significant. It will become the second country - after Mexico in April - to complete domestic procedures for the pact, now known as the Comprehensive and Progressive Agreement for Trans-Pacific Partnership, or TPP-11. The pact, which was revised after the United States pulled out last year, will come into force about 60 days after it is ratified by at least six member countries. Singapore, Brunei, Malaysia, Vietnam, Australia, Canada, Chile, New Zealand and Peru are also parties to the deal. Japan will put the Bill to a vote in the Upper House, where the ruling coalition has a clear majority. On Sunday, trade ministers will gather in Tokyo for the 16-nation Regional Comprehensive Economic Partnership (RCEP). A target has been set for an agreement to be reached this year - potentially at the Asean summit hosted by Singapore in November - although hurdles still remain. The gathering will be the first ministerial-level meeting held outside Asean since RCEP negotiations began in November 2012. It will be co-chaired by Japanese Trade Minister Hiroshige Seko and Singapore’s Minister for Trade and Industry Chan Chun Sing. The RCEP, which is led by the 10-nation Asean grouping, also includes Australia, China, India, Japan, South Korea and New Zealand. The countries together account for nearly half of the world’s population, and about 30 per cent of global trade and the world economy. The TPP-11 accounts for 7 per cent of the global population, about 15 per cent of global trade, and 13.5 per cent of the world economy. Japan and Australia, which led the TPP revival after the US pulled out, are pushing for similarly high standards to be applied to the RCEP. Some countries, including China and India, however, have been more hesitant. RCEP comprises 18 chapters, of which only two have been concluded - in the areas of economic and technical cooperation as well as small and medium-sized enterprises. It is understood that some countries are poles apart on the extent of liberalisation in areas like intellectual property. Other unsettled chapters include trade in goods, trade in services, investment, dispute settlement, e-commerce, and competition. Dr Fukunari Kimura, chief economist at the Economic Research Institute for Asean and East Asia, said it will be difficult for RCEP to reach the same level of standards as the TPP-11. "Perhaps, they should consider a step-by-step, incremental approach instead," he told reporters on Wednesday. Time is running out if "major progress" cannot be achieved, given the target of reaching a deal this year, he added. Australian National University professor Shiro Armstrong, writing for the East Asia Forum current affairs website, said: "Forging a core agreement in 2018 that locks in credible reforms in China, Indonesia and India, and that helps Japan’s domestic reform agenda, will provide a major boost to the global economy. That will require strong leadership and political will."